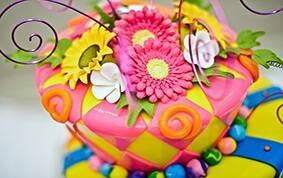 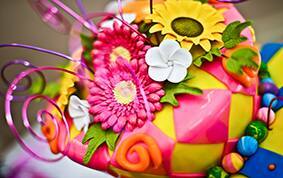 This week's Wedding Cake Wednesday is a colorful delight perfect for the coming (hopefully) warmer weather. 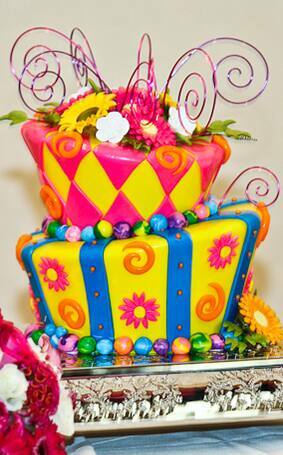 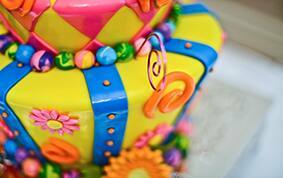 The colors and patterns of the two-tier fondant cake guarantee it will stand out as a focal point at your reception. 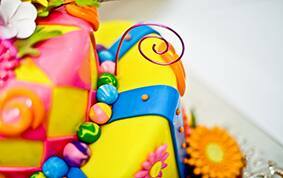 I suggest surprising your guests with a delicious, colorful filling inside to match the bright exterior like raspberry or even tropical- yum! 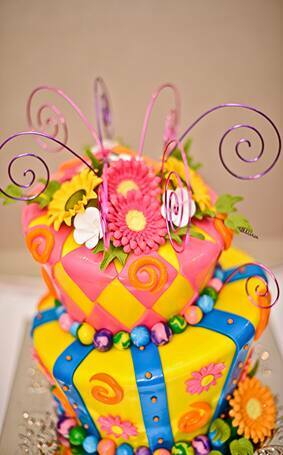 I can't speak for Alice, but I'd definitely stay in Wonderland for a piece of this cake!